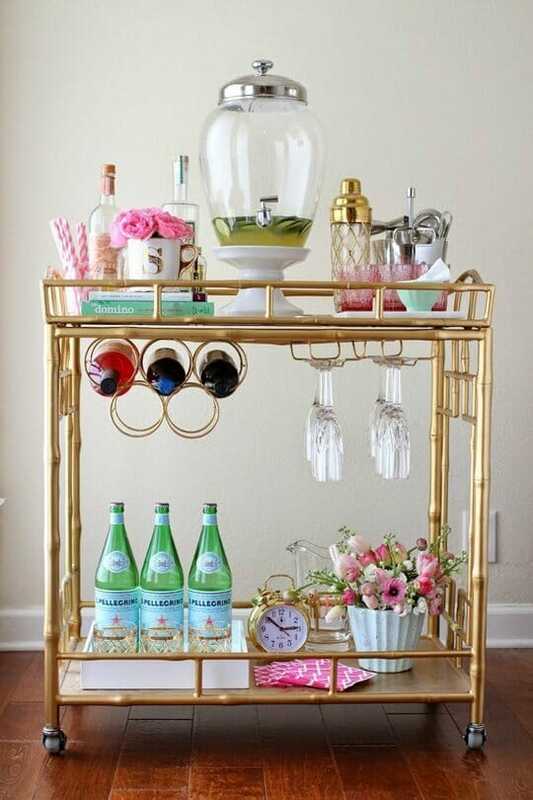 Yep, they’re all the rage (again)…an entertainer’s best design accessory, the iconic bar cart! Originating as tea trolleys at the end of the Victorian era, bar carts gained popularity in the 1950s at the end of Prohibition when cocktail hours were the thing. 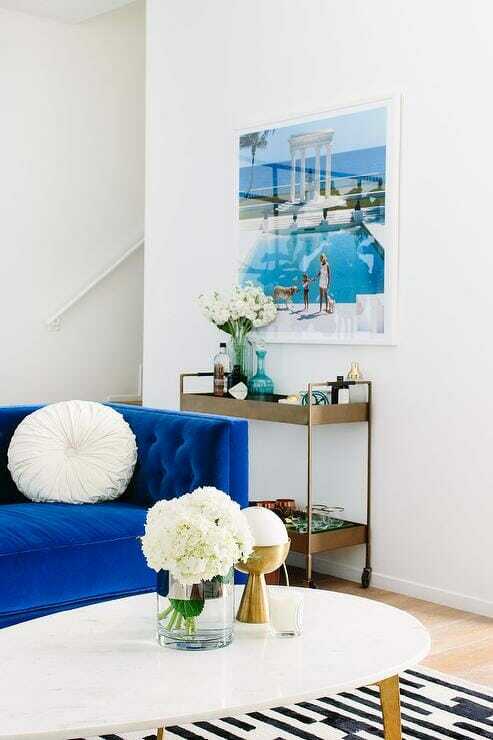 Now, these accent tables are an intentional piece to anyone’s home decor. 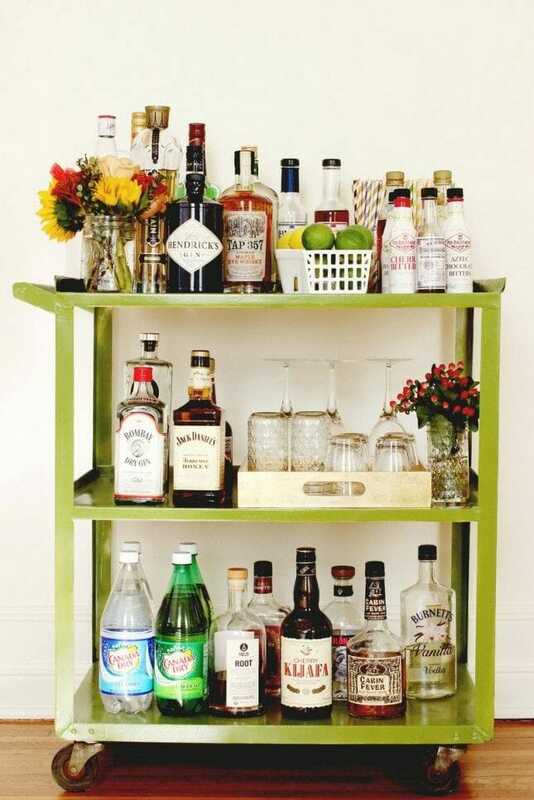 There are so many amazing types of bar carts and even more ways to stylize them. 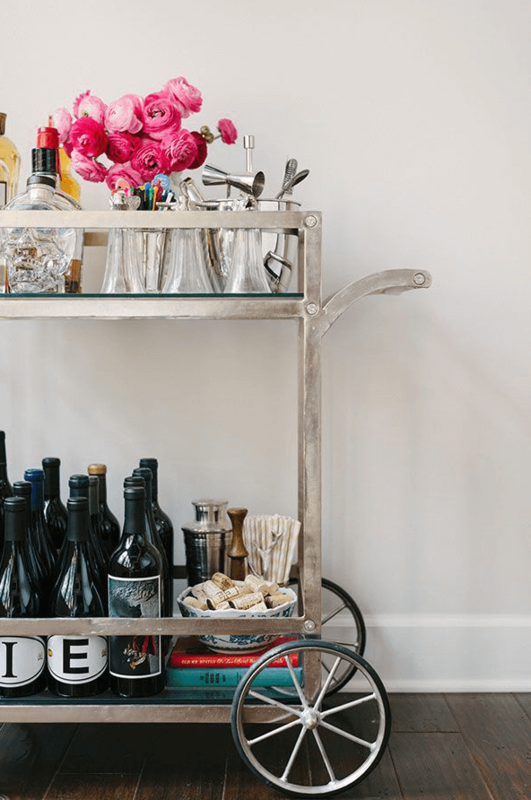 Here are some of Decorilla‘s best designer tips to help you style the perfect bar cart! 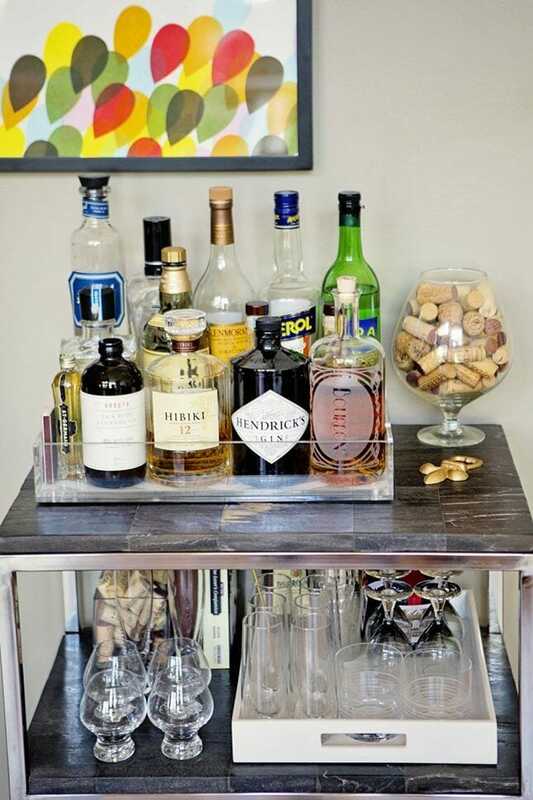 Like any piece of furniture in your space, the selection of the right bar cart is key. 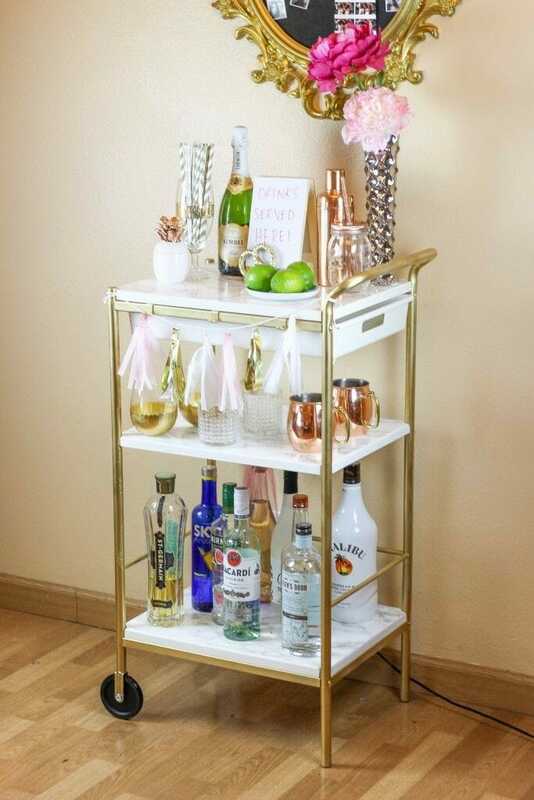 From vintage brass large wheelers to rustic crates on casters to fun and easy DIY pieces like this Ikea hack bar cart from Blush & Jelly, the cart itself sets the design tone. Consider the style you are going for in your room and accentuate it with a bar cart to match. As always, have measurements in mind as you may not want your piece to completely dominate the designed space or worse, be insignificant. 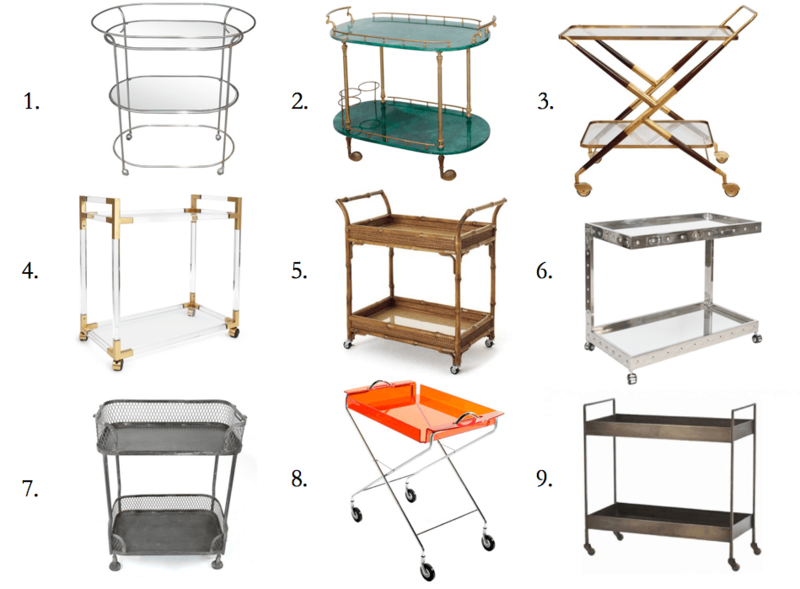 Below are some of our favorite bar carts. Bar Cart Styling by Decorilla Designer, Cristina R.
Now, that you’ve found your ideal bar cart, it’s important to stock it with the essential bar supplies. Aside from a helpful cocktail recipe book like Dave Arnold’s Liquid Intelligence, here are the barware basics to have on hand for versatility when offering guests drinks. No need to over stock your bar with every brand of vodka in order to create successful drinks. Fun and fantastic cocktails can be made with a few base spirits and mixers. Consider the following basics to dress up your cart; varying bottle shapes and sizes also add to the visual appeal. Vodka: Vodka is the workhorse of the liquor cabinet, used in basic drinks such as vodka tonics, screwdrivers, and the vodka martini. Gin: For martinis, gin and tonics, and Tom Collins. Cognac: For sidecars, brandy milk punches, crustas, daisies, and smashes. White Rum: For daiquiris and mojitos. Bourbon: For Manhattans, Old Fashioned, and whiskey sours. Tequila: For margaritas, sunrises, and palomas. The best tequilas are made from 100 percent agave; check the label. Cointreau: A bar essential — clean, full of natural orange flavor, and not too sweet. White Vermouth: Essential for truly sublime martinis. Bitters: Contrary to popular belief, bitters are not used to make the drink taste bitter, but to help other flavors blend. Here’s the added fun part. 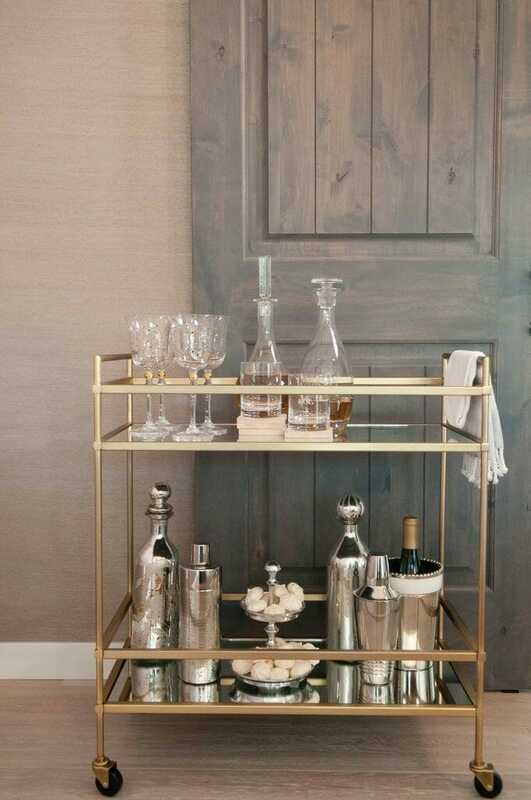 A well stylized bar cart has elements of zhoosh to transform them into design pieces. Decorative cocktail napkins can add the desired splash of color while coasters can introduce amazing pattern like these concrete coasters from Stone and Tree Co. Another simple way to bring in texture and beauty is with a vase of fresh flowers or a terrarium with small succulents for a hint of organic design. 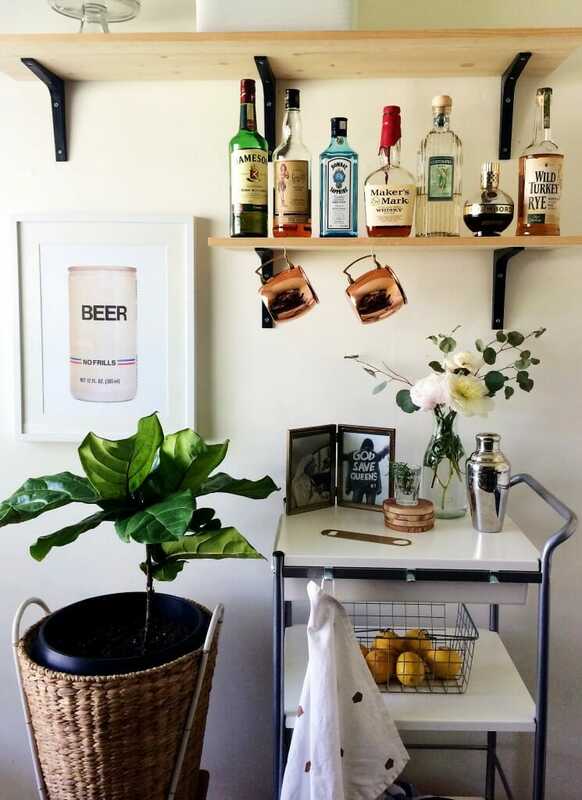 Lastly, be deliberate with the placement of your bar cart. 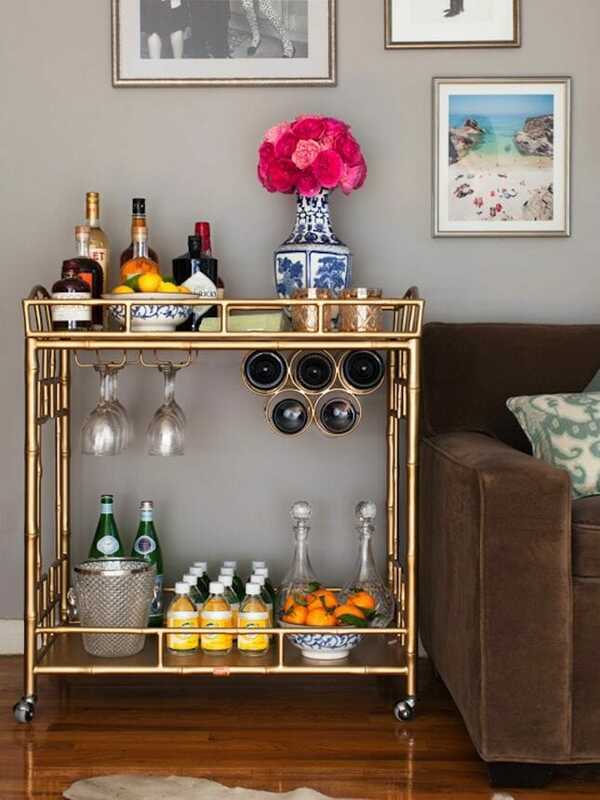 An artistic background of patterned wallpaper, a bold painting, or a fun mirror can really make your bar cart pop! 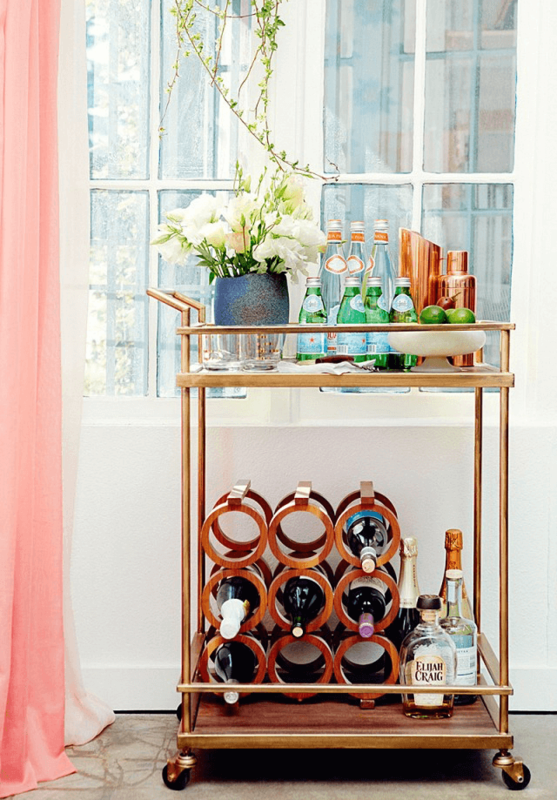 With these quick and easy designer styling tips, you’re all set to host family and friends around your beautiful and fully functional bar cart. But if you still feel like you need a little help, simply start an online interior design project today. Cheers!